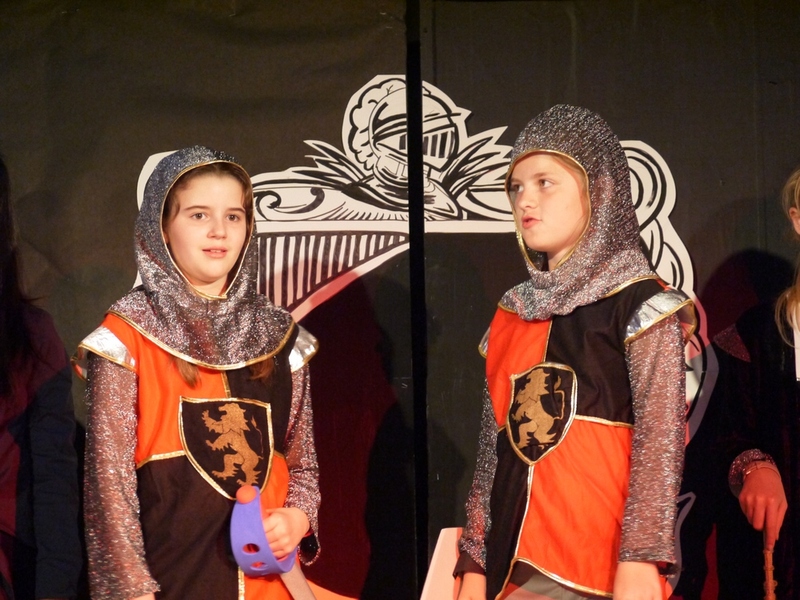 Well What a (Hot) Knight! 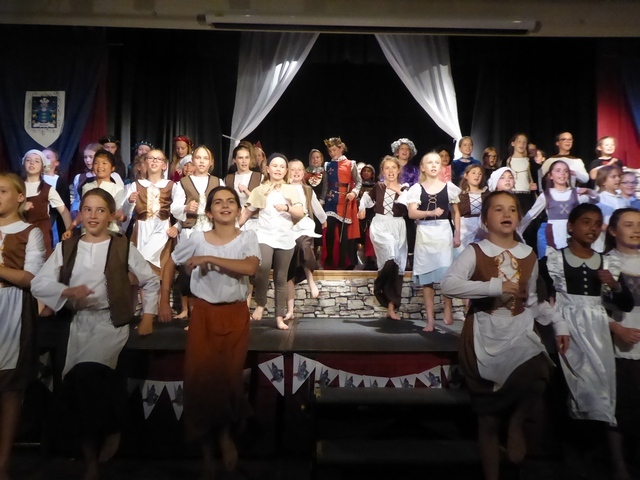 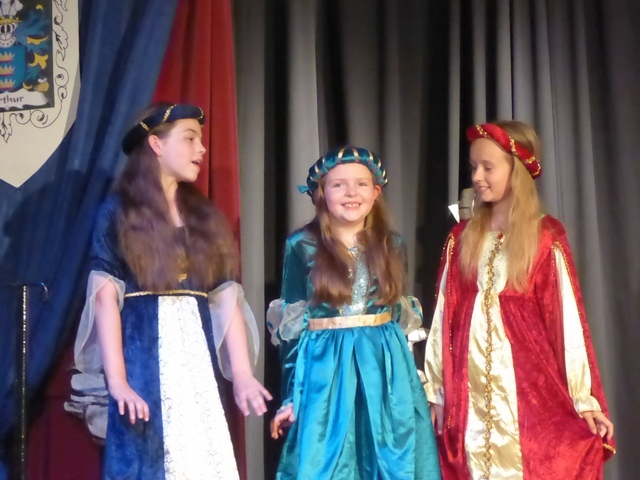 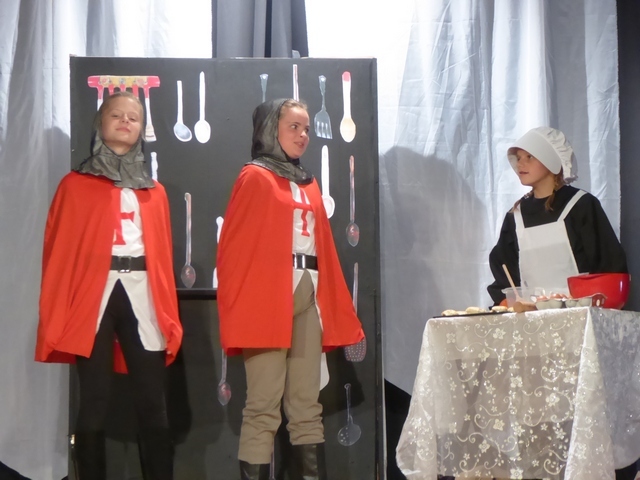 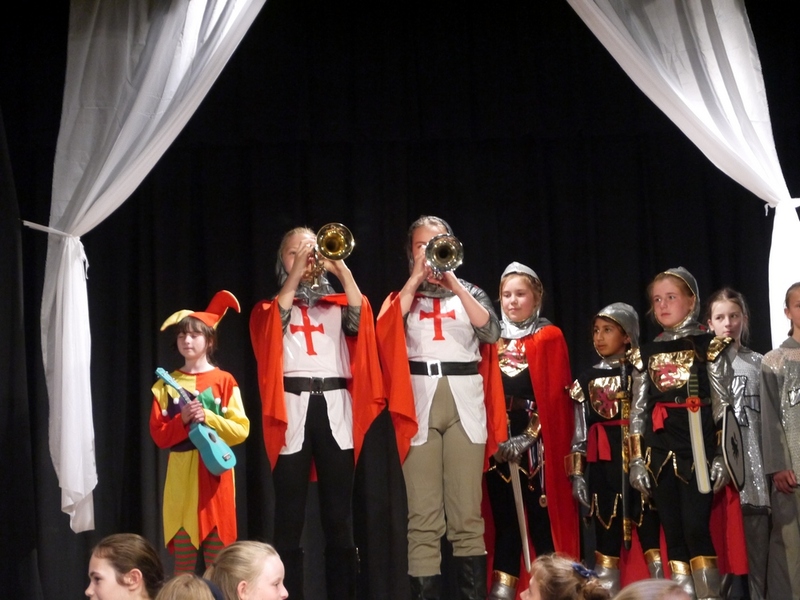 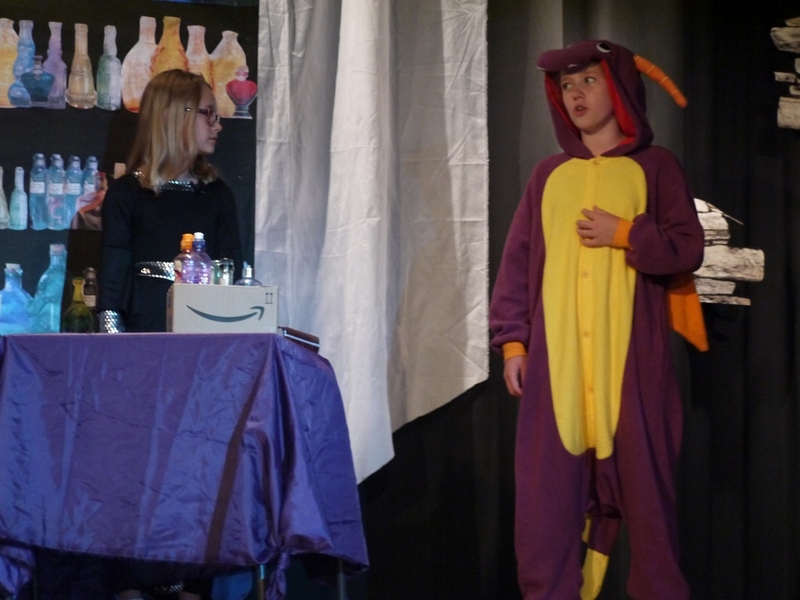 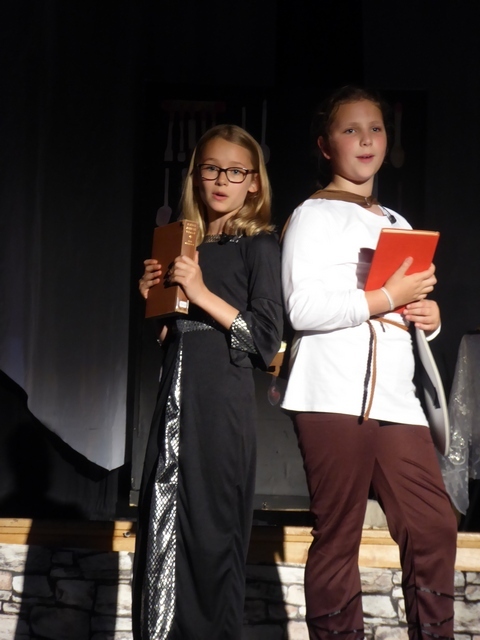 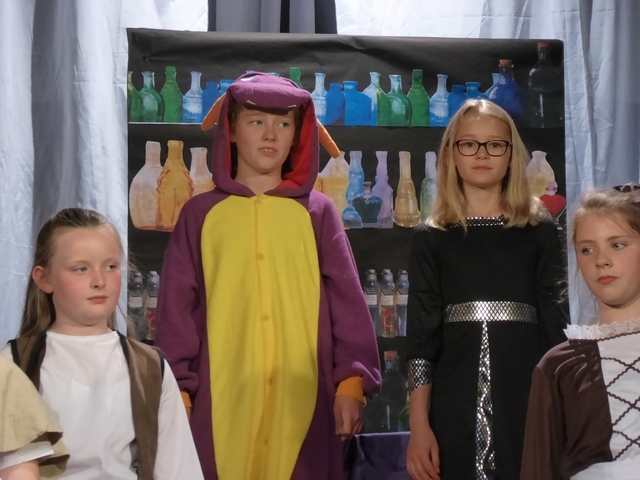 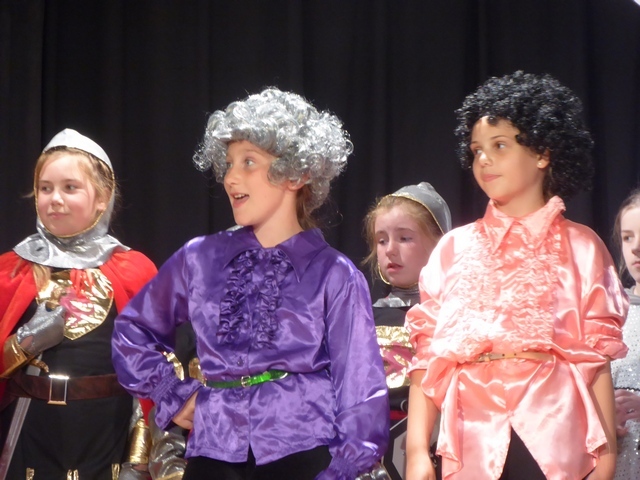 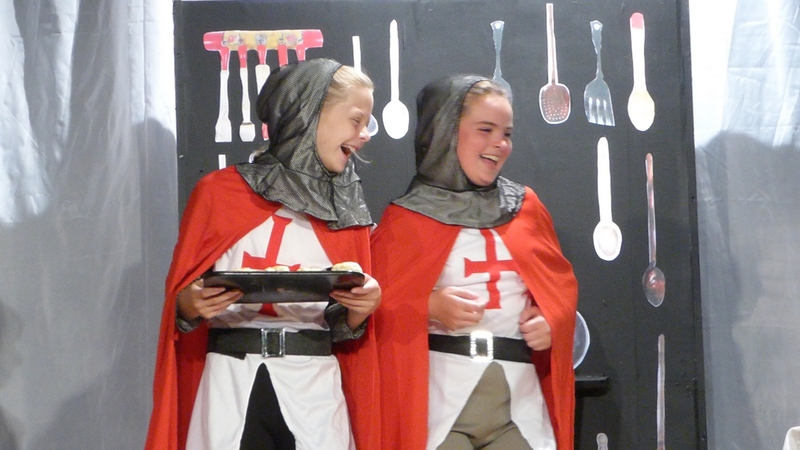 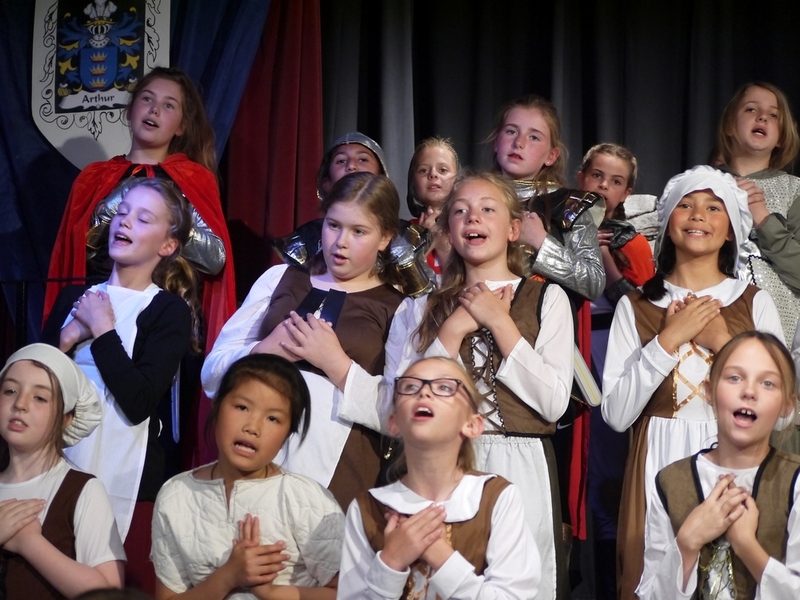 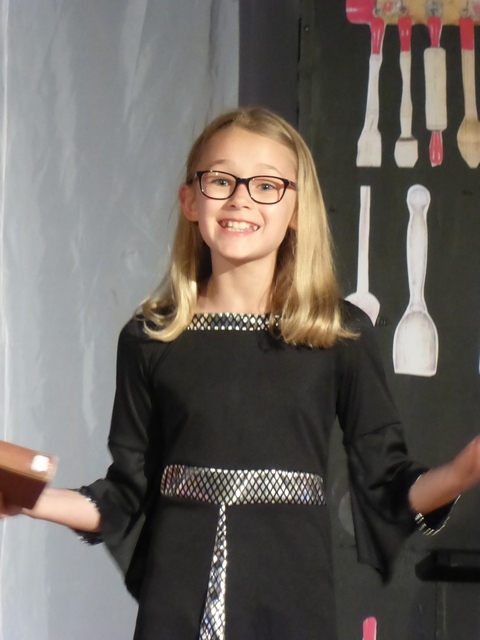 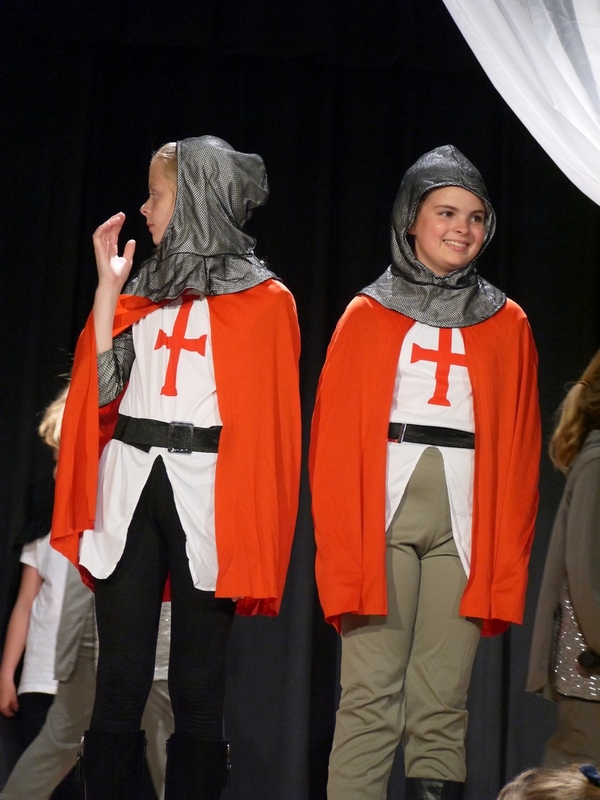 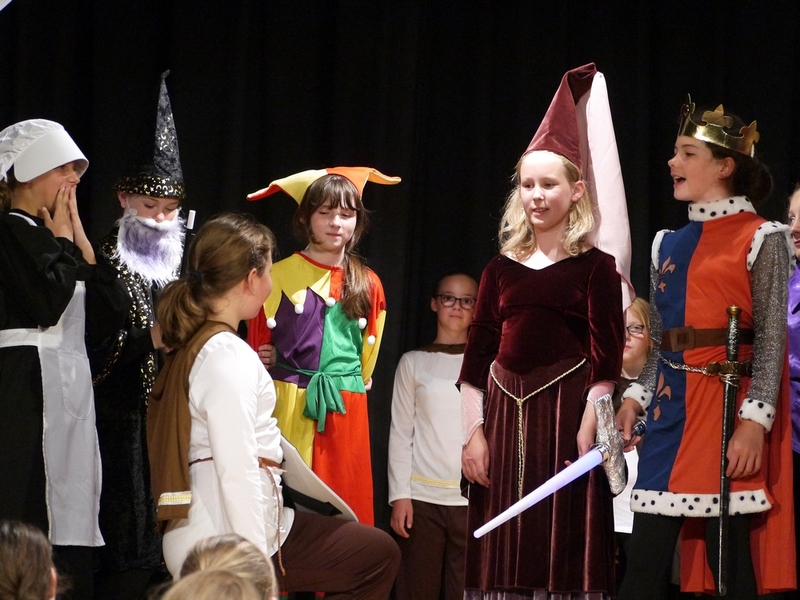 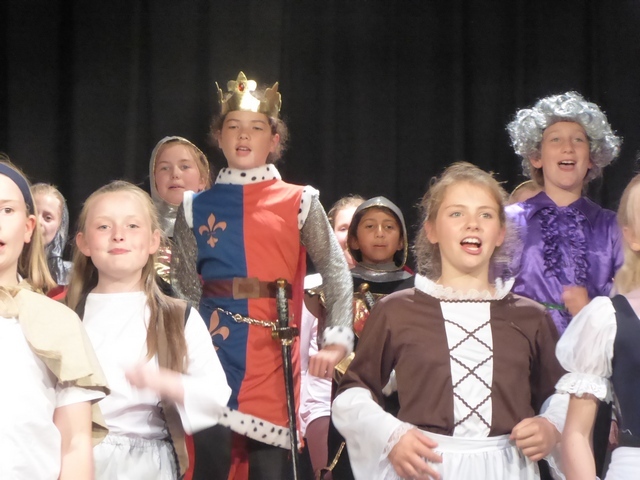 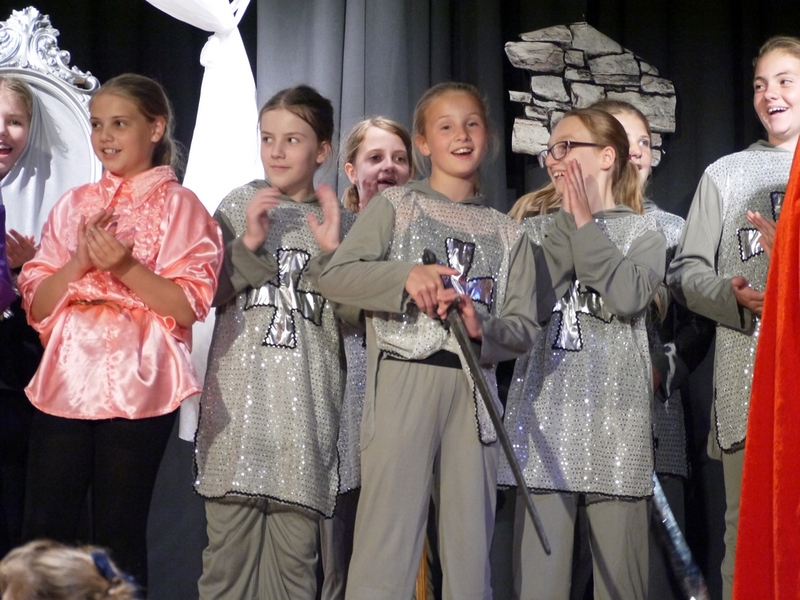 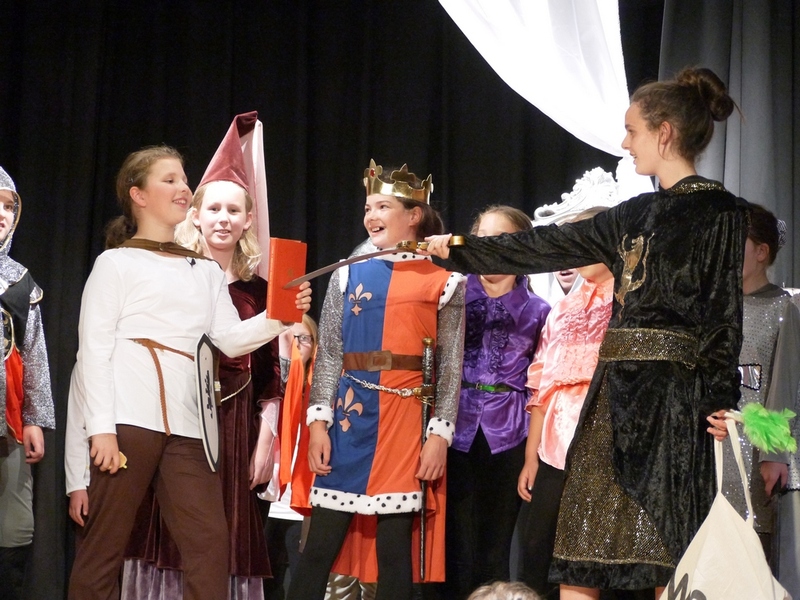 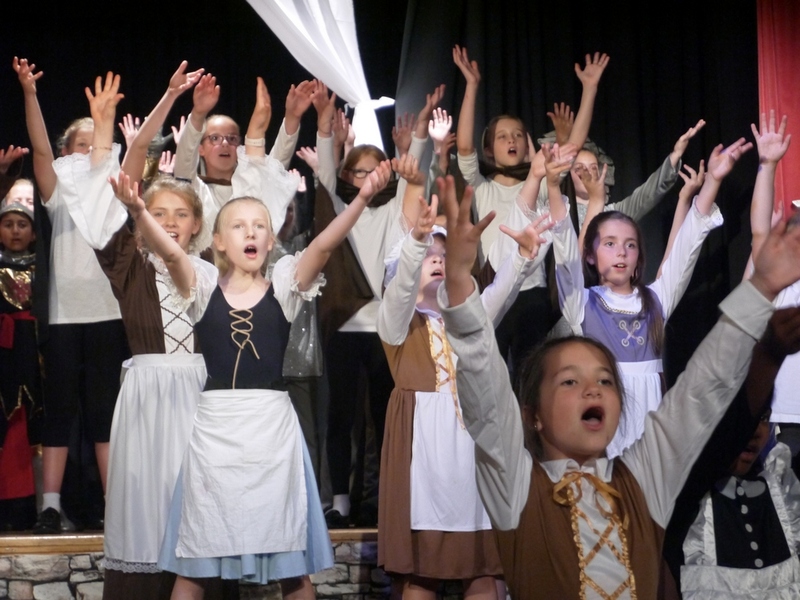 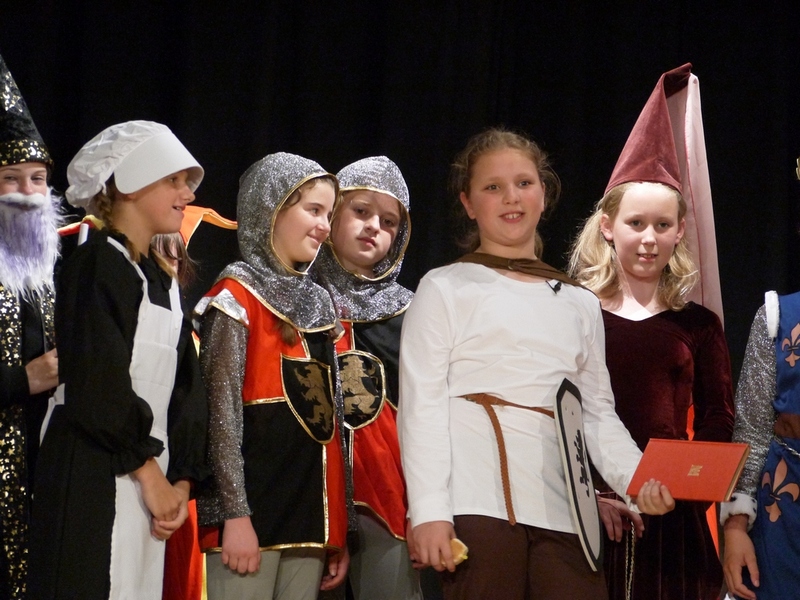 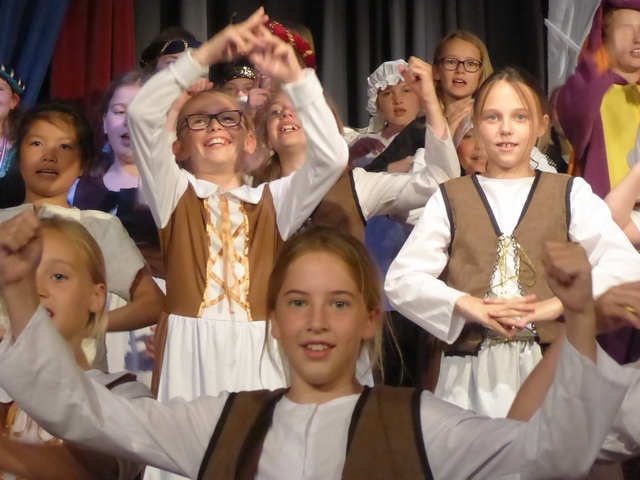 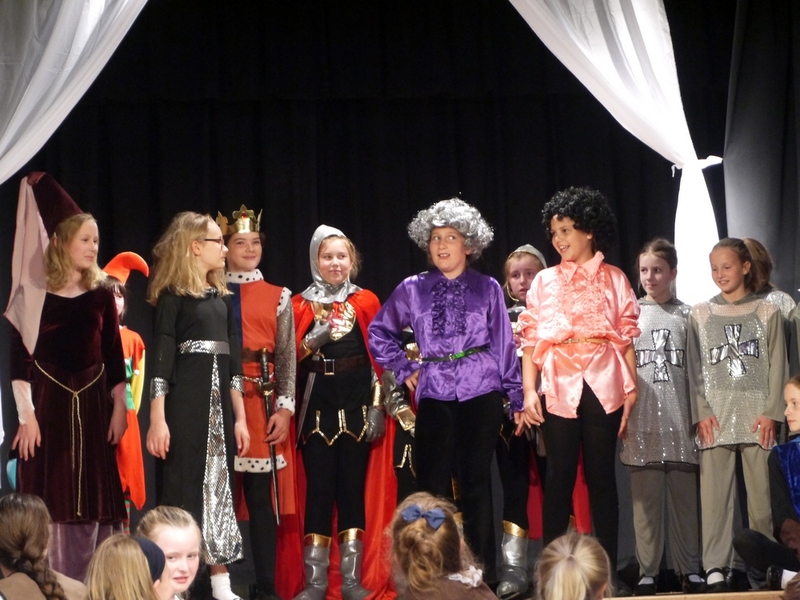 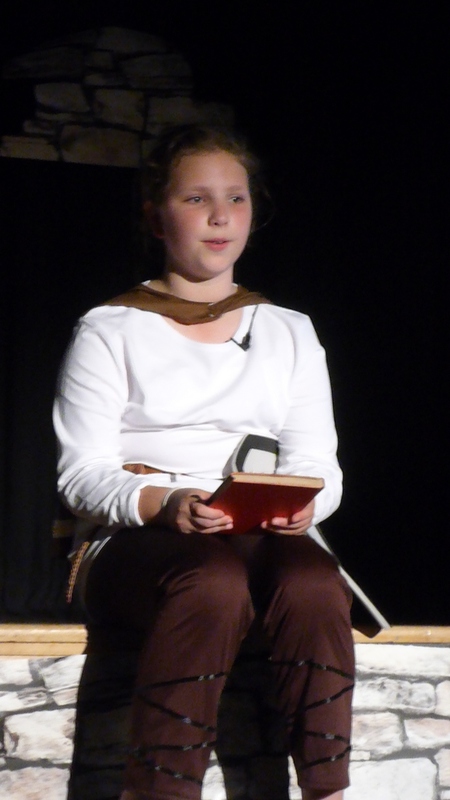 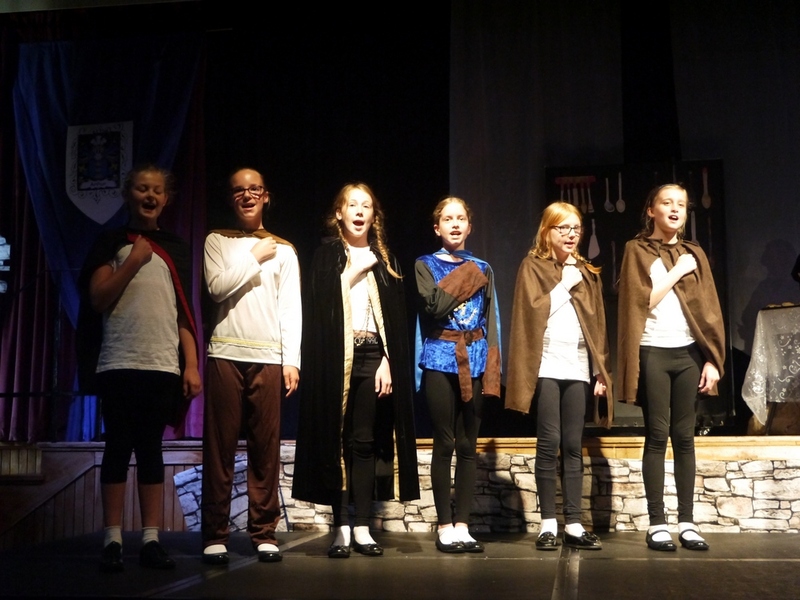 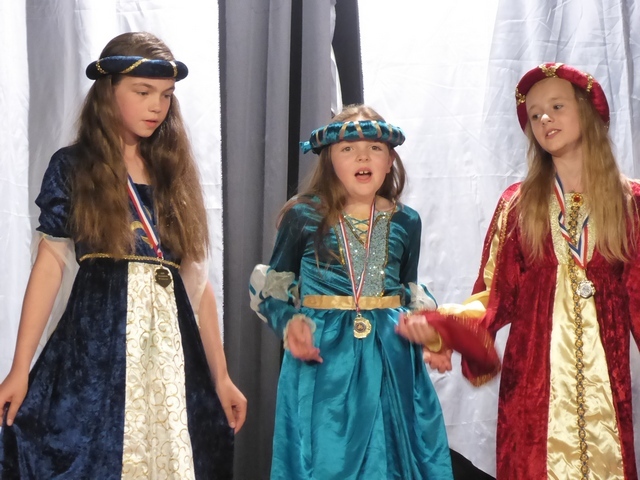 On the hottest evenings of the year, Years 5 and 6 raised the temperature yet further by putting on a sizzling performance of the comedy musical ‘What a Knight!’ on the Senior School stage. 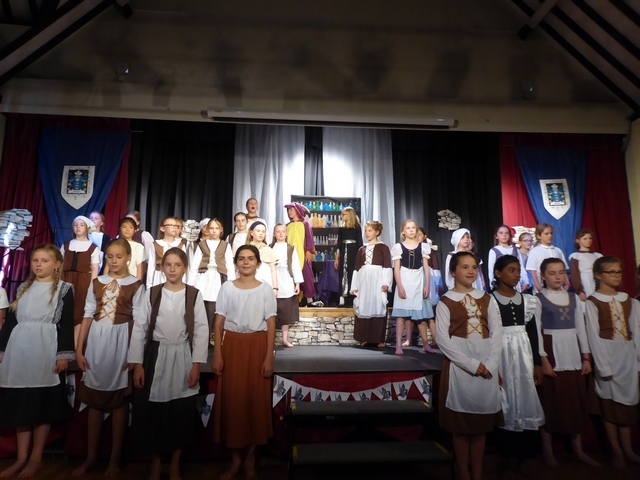 Despite competition from a certain football match, the girls played to full houses and sides were splitting on both nights of the show. 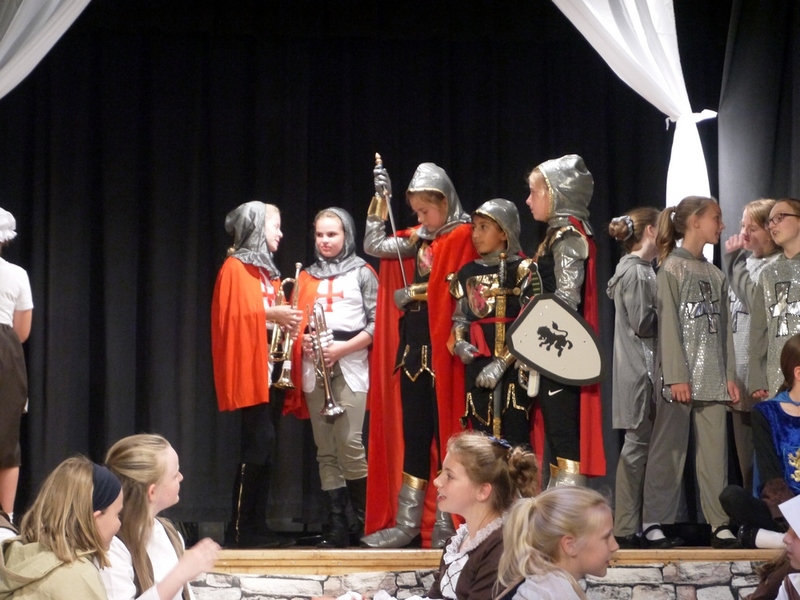 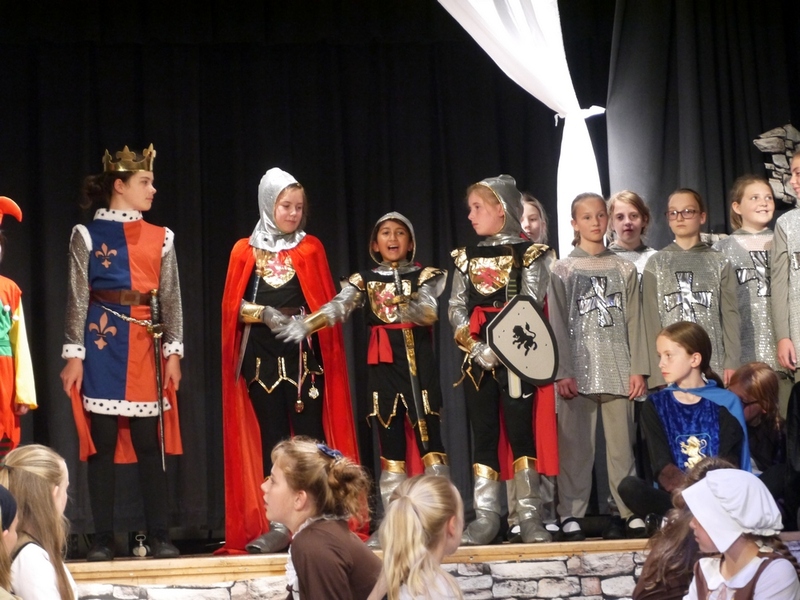 The play was an action packed tale of King Arthur and his brave Knights of the Round Table and their attempt the thwart evil plans to steal the sword Excalibur and claim both Camelot and the throne! 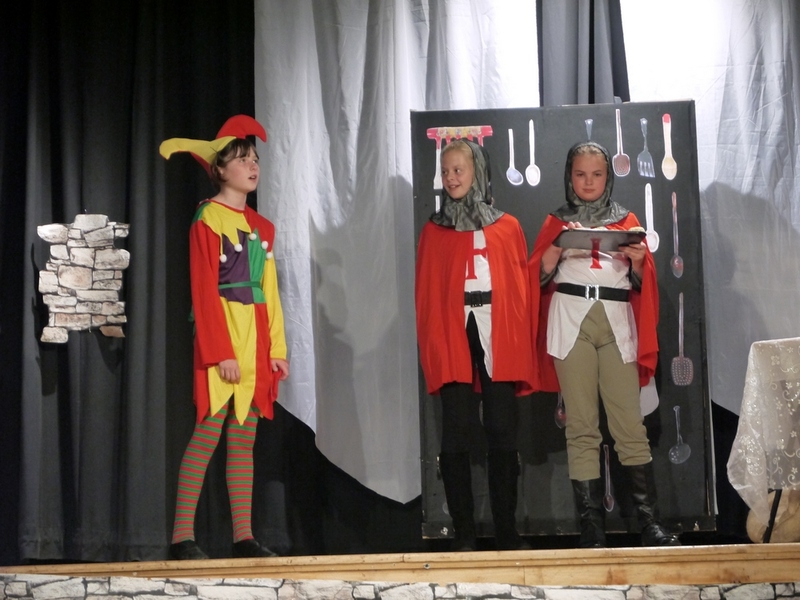 The Black Knight, captured princesses, ransomed fashion designers and an unlikely hero were all drawn into a dastardly plot, together with a petulant magic mirror, a depressed jester and a misjudged dragon! 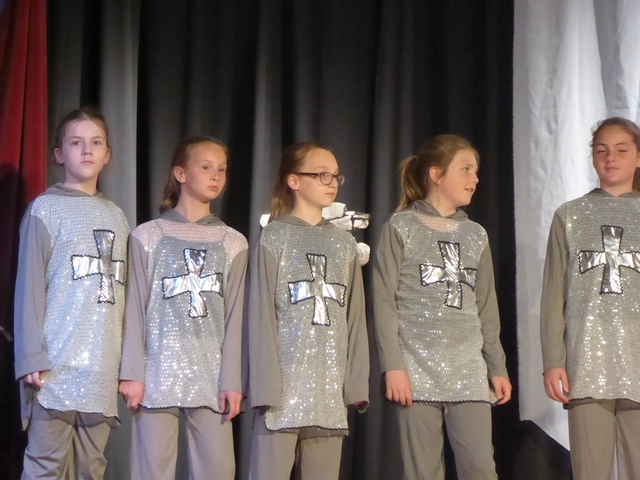 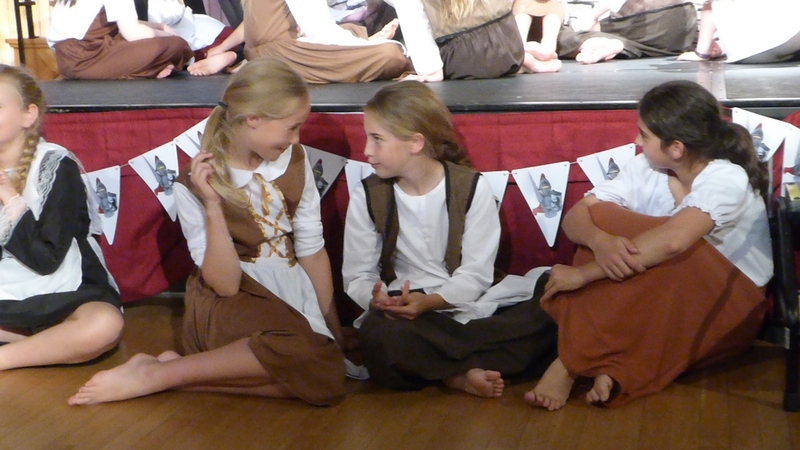 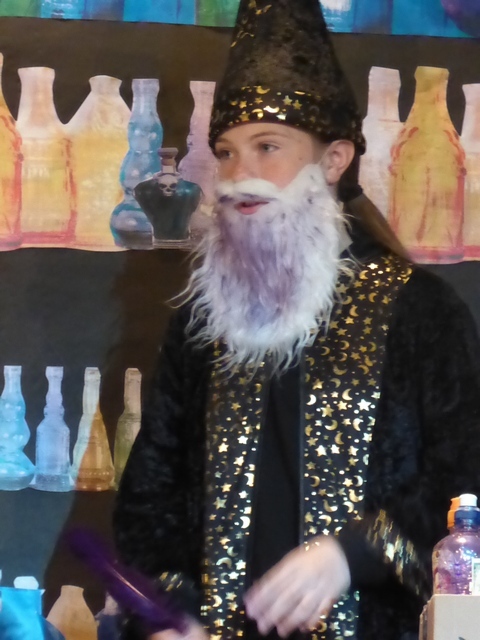 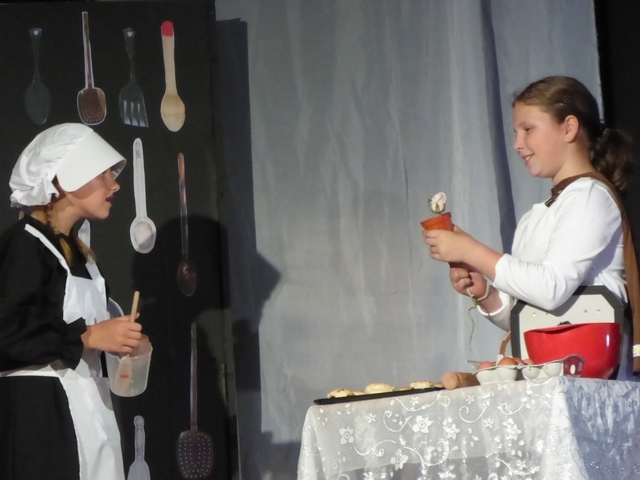 Audiences were impressed by the girls’ energy and enthusiasm in ever increasing temperatures and by their fabulous comic timing. 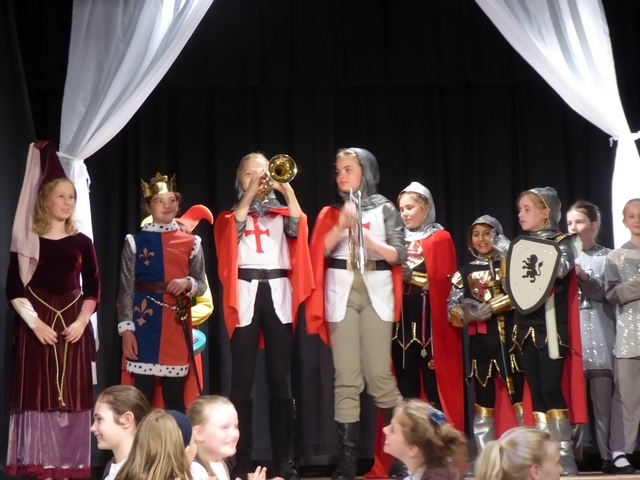 Supported brilliantly by the chorus of Year 5 Royal Subjects, the girls should be proud to have given us a ‘Knight’ to remember!